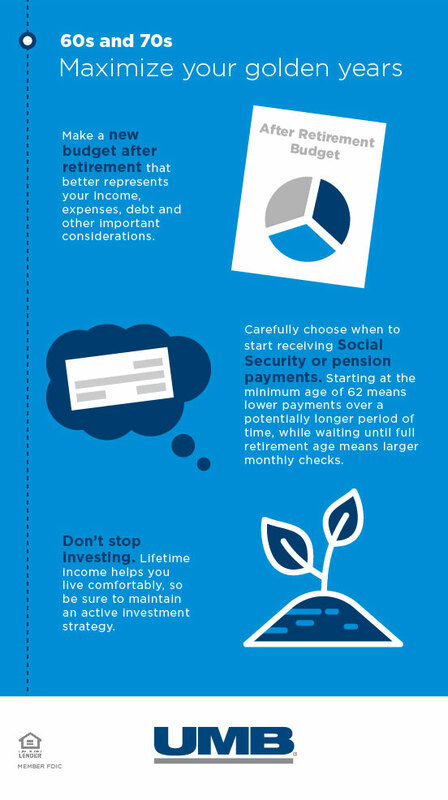 Saving money is a lifelong practice, but your savings goals and strategies should change over time. 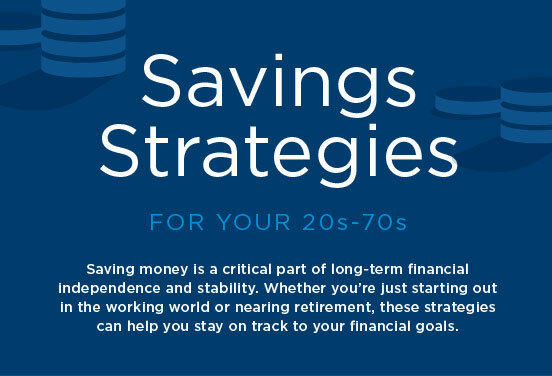 These savings tips can help you assess your needs from your 20s and 30s to your 60s and 70s. When you’re making a financial plan, how and how much you save makes a big difference. 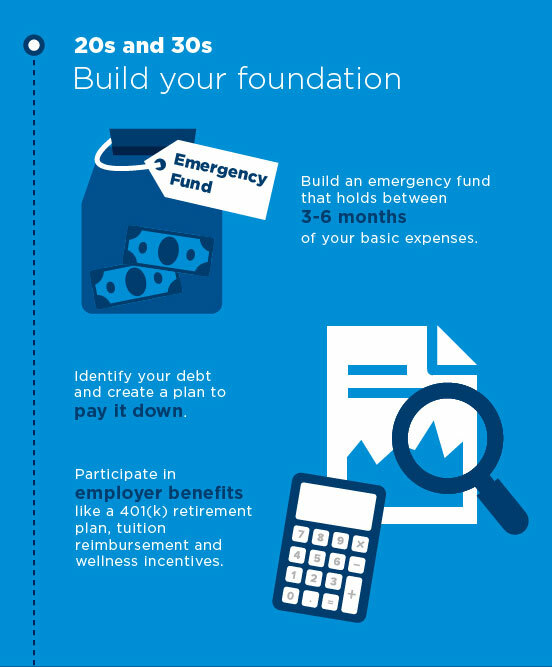 This is a handy tool to help you stay saving savvy throughout your lifetime. 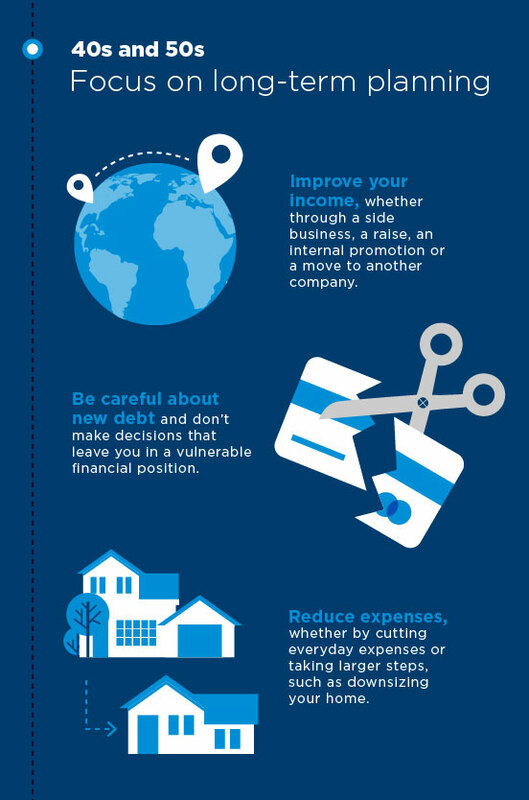 When you are just starting out in your career, it’s smart to focus on building your financial foundation. …so you can maximize your golden years after retirement.